Pest populations of European corn borer (ECB), corn earworm (CEW) and brown marmorated stink bug (BMSB) from blacklight samples will be posted in table and in map format. 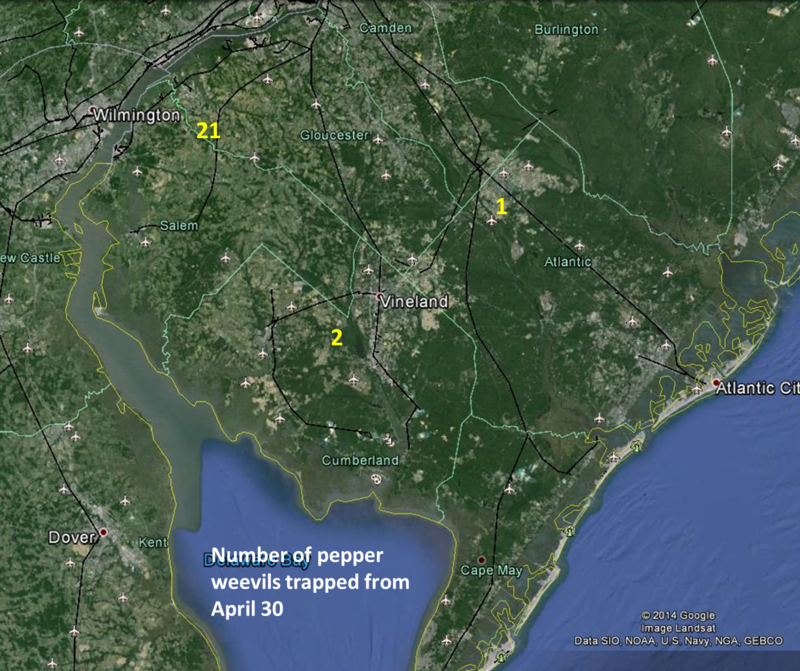 Additionally, adult CEW populations from a pheromone network in southern NJ will be posted in both formats. 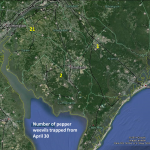 Pepper weevil trap catches from southern NJ will be posted in map format. Beet armyworm (BAW) adult populations from a southern NJ pheromone network will be posted in table form beginning in mid-July.